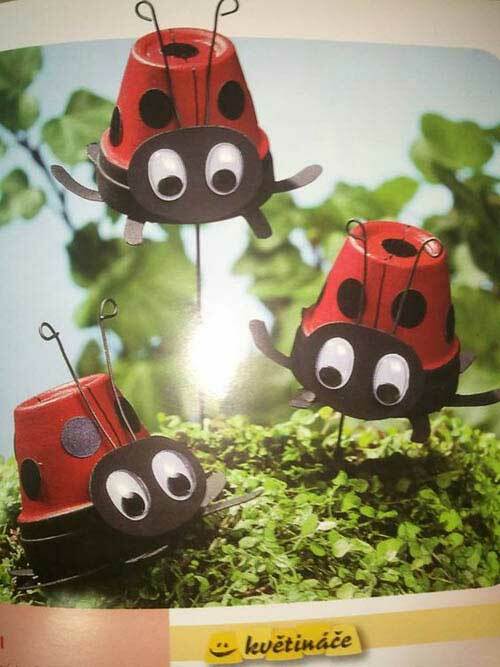 Who would have realised that you could get such a wide variety of clay pot ladybugs? Strange but that is exactly what just popped into my mind. 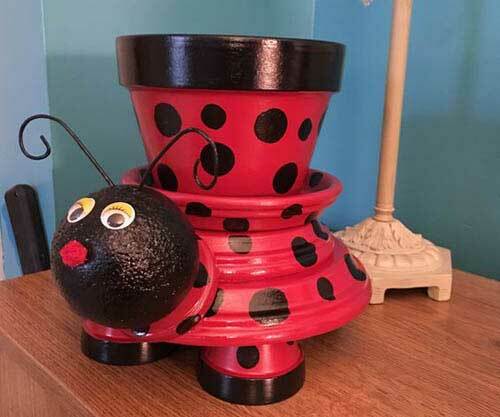 I don’t know where exactly the little rhyme comes from, but when I was a child it was what my mum used to say if a ladybug landed on her. So naturally, all us children used it too. So just for fun, because I am really just a big kid at heart. I have found you this video on youtube. Back to the project at hand. 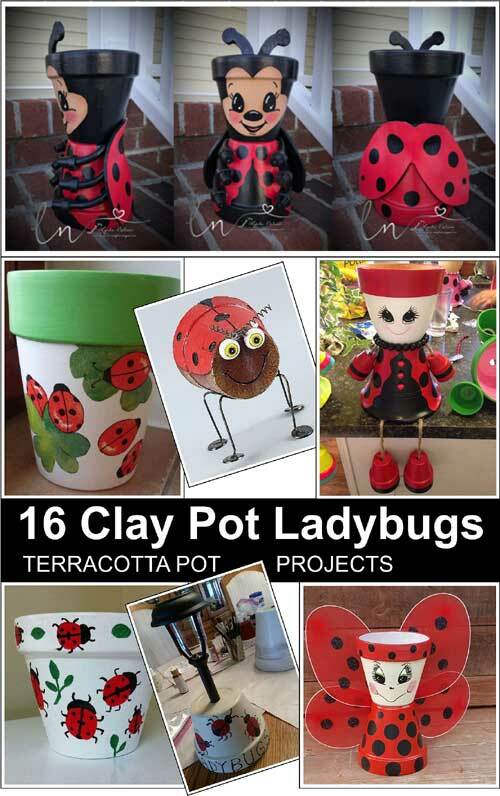 Here are sixteen of the best examples of clay pot ladybugs I have found so far. 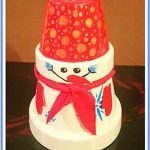 I hope you enjoy having a go at making some or all of them. I know I will. 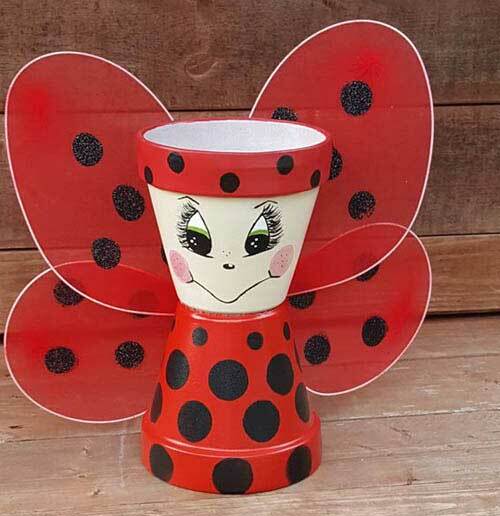 This lovely little pot has been created with the use of decoupage. You first need to paint the base section of the pot white and the rim green and allow to dry completely. Whilst it is drying you will need to cut out the images you are going to use. When the paint is dry you glue your images to the pot and water seal the entire pot. 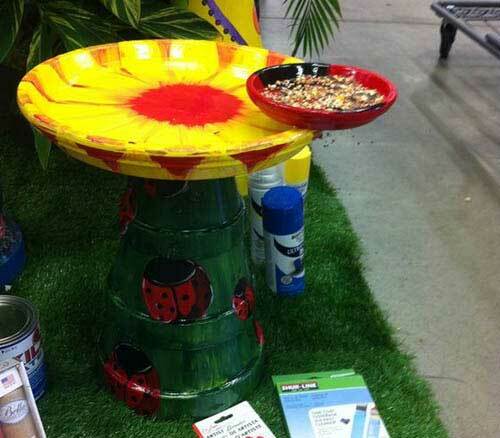 To create this lovely Ladybug bird Bath and Feeder using three different sized pots, two different sized saucers, colored paints, and sealer. 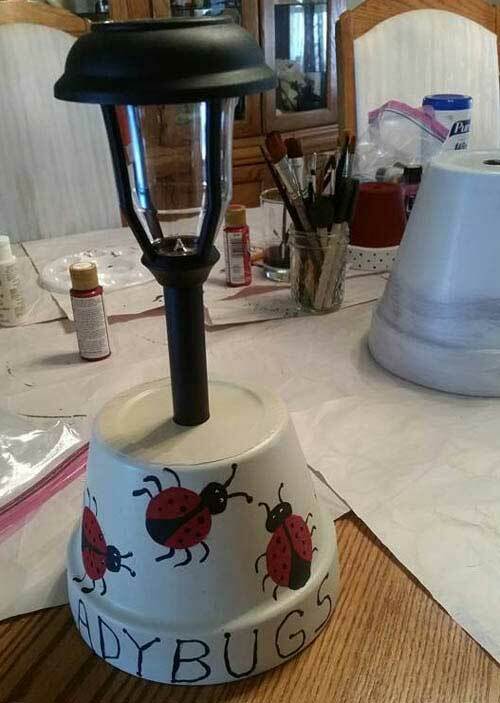 You can either hand paint on the ladybugs or add them using decoupage. 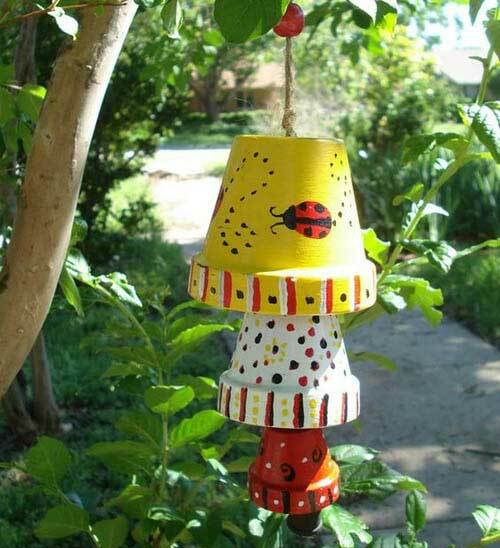 Lovely hand painted clay pot Ladybugs windchimes. 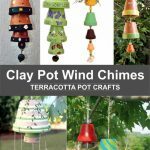 Consists of four different sized pots and a bauble all joined together with rope. Just paint on your images and join them all together. 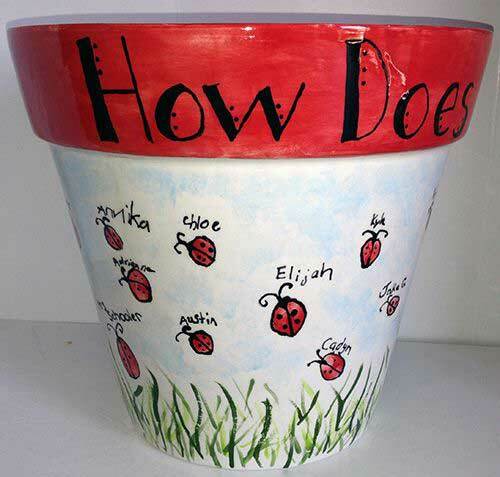 This is soo cute, it would make an excellent school class project as all the children can add a fingerprint to create a ladybug. 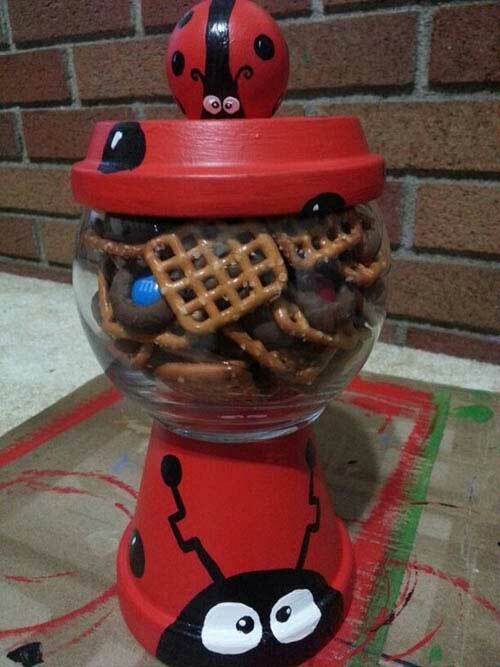 To make your own gumball machine/candy jar click here for a tutorial. Then paint your desired pattern. These are made from tiny little pots. 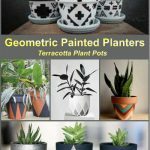 Make lots of these and add them to your planters. Luminaries or tea lights are a great way to add a little light and ambiance to your room. You could also make this as a real candle holder. Bright and colorful. 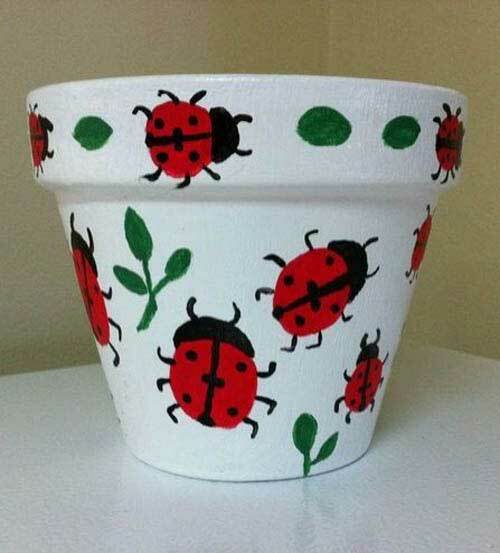 Simply basecoat your clay pot in white and when it is dry hand paint you ladybugs or add cutout images. Absolutely love this little lad. 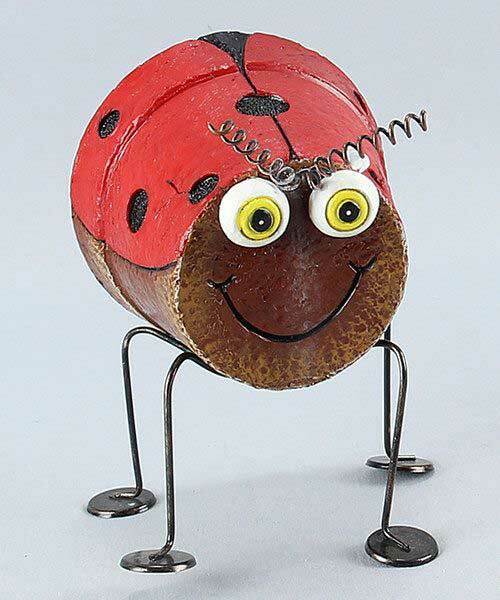 She is definitely the prettiest clay pot ladybug I’ve seen. Add a pretty little plant and she’ll instantly have hair. 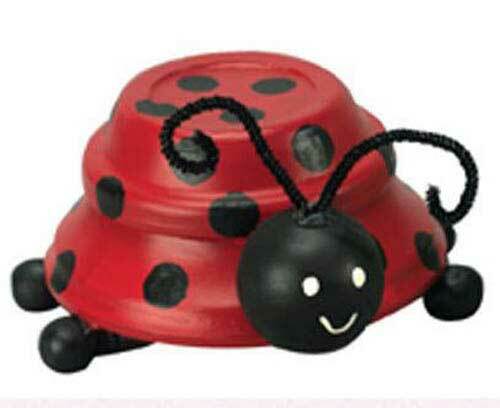 This little gem is definitely the most unusual clay pot ladybug I’ve seen. Great for an ornament. 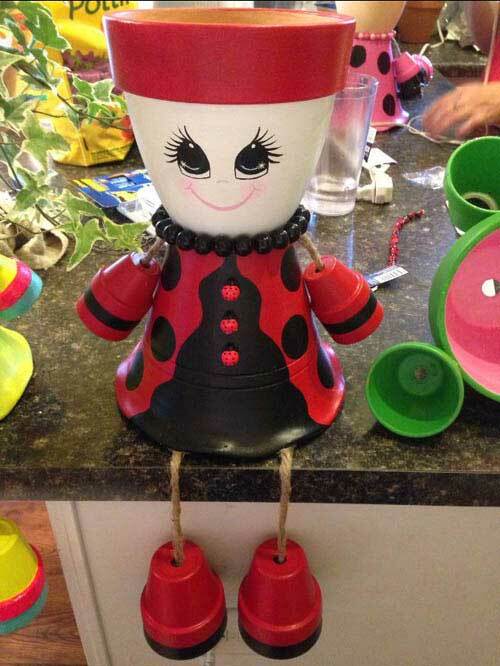 Light your way with this cute garden lamp. 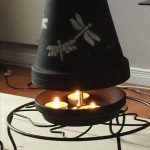 All you need is a simple solar lamp with a spiked bottom and a medium sized planter. Paint on your design and away you go. Now, this little ladybug is a real work of art. 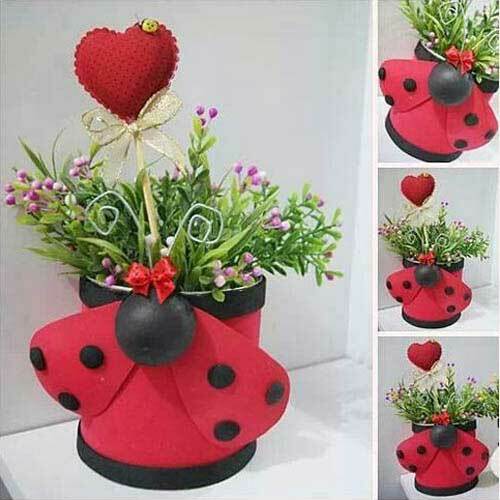 Make this one using the tutorial for the Ladybug Garden Decoration below. This one comes with a lovely detailed tutorial. 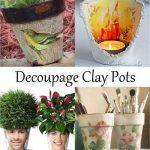 Paint up you two pots, you can always decoupage the face. Then add wings shaped from wire and cover in red nylon stockings and paint on the dots. Glue the wings to your pot. This one is definitely a project to keep indoors. 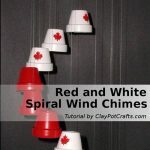 A nice easy, romantic valentines gift project. 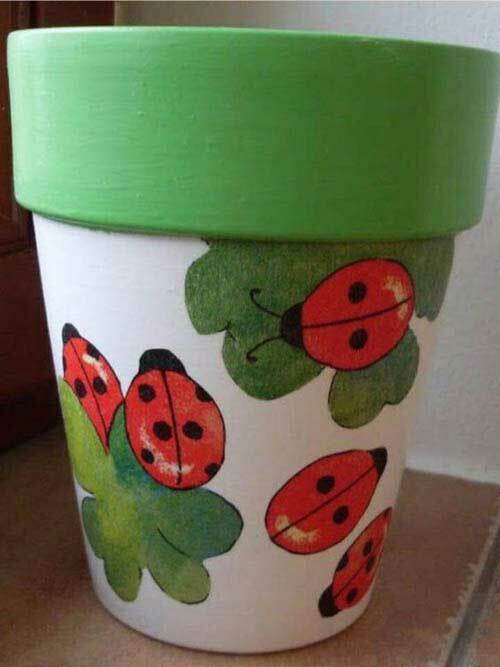 So there you have it, sixteen unique clay pot ladybugs. Who would have thought that you could find quite such a variety?